23 Years licensed in Georgia. 20 Years Broker or Associate Broker in Georgia. Member Council of Residential Specialists. "By far the best agent I have ever used in this area. I bought my current home through him. He helped me negotiate a fair deal with this bank owned house. I later listed my first cabin with him which he was able to sell in very short order considering it was in the middle of the downturned economy. I would not use anyone else except Lester Chesser for any kind of real estate dealings because of his knowledge of the area, honesty and hard work." 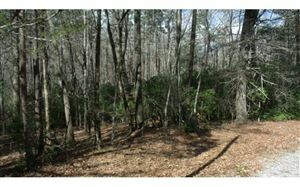 "Lester patiently showed my husband and me many properties in the Blairsville and Blue Ridge, GA area. We were impressed with his local knowledge and his low pressure approach. He never pushed us to make a purchase. Ultimately, we purchased a foreclosurer. Even though the foreclosurer was a relatively complicated transaction and carried a low commission, Lester continued to offer an exceptional level of service and was always immediately responsive. Lester made us feel that our purchasing a property we would be happy with was more important to him that his making a high dollar sale. If we ever decide to sell the property or to purchase a different property in the area, we will call Lester. Both my husband and I felt that Lester provided exceptional service and we highly recommend him. " "Very Pleased with Lester we are out of state buyers and worked with him over the phone when we flew in he had multiple listings to show us and went out of his way to make it a pleasant experience. Thanks Again Lester "
"Lester was very patient with us, first time home buyers. He is extremely knowledgeable of the area. We knew he would be a good choice when another agent recommended him. He was quick to respond to all our questions too! " "Lester said he would sell our cabin and he did! Great communication. Weekly updates. We tried selling by owner but traffic didn't compare one we had it listed with Lester. " "Lester is an amazing Realtor, whom we now consider a trusted friend. My wife and I met him a year ago, and he took the time necessary to get to know our needs in buying a property while living in Florida. When we saw a perfect house online, he went over the next morning to view. He assured us that it met all of our criteria, and we soon went under contract. Having him in our corner assured a smooth inspection, and closing of our desired mountain home. Thanks again Lester for making our dream a reality! " "Lester was very instrumental in helping us achieve our dream of owning a house in the mountains. He was very knowledgeable about the area and provided a lot of commentary. He helped us organize our viewings so we made the most of the limited amount of time we had available to look at houses. He made all of the arrangements in advance so we knew we could see the houses we were interested in. He was super patient as we looked at a lot of houses. He pointed out good points about each house and things we should be aware of. Once we decided on a house, he was very helpful in guiding us through the negotiating and buying process. He was extremely organized and responsive every step of the way"
"We met with several realtors, including Lester, before listing our north Ga cabin. Lester came prepared with information, helpful suggestions and a marketing plan. He had done his "homework" prior to meeting with us and knew the community, comps in the area and was willing to listen to our input as well. We felt very comfortable with him and he didn't disappoint! Our cabin sold very quickly, and Lester was always just a text away throughout the process! Great guy and great realtor!" "Lester helped us with our home purchase and a rental property purchase. He is always ready and able to guide us through the purchase. I have recomended him to friends and I recomend him to you. I went through several agents in this area until I found him. " "Lester was the listing agent when we first purchased our home in 2007 and due to our satisfaction with that transaction we decided to call upon him when it became necessary to sell our home in 2014. Lester was quick to respond to all questions and handled the sale in a professional manner. We would definitely recommend Lester to any prospective buyers or sellers"
"Lester is an excellent agent who was most helpful and patient in helping us find the perfect mountain getaway. Since our purchase he has been very kind in pointing us in the wright direction as to any services we need. We now consider Lester our local agent and friend. " 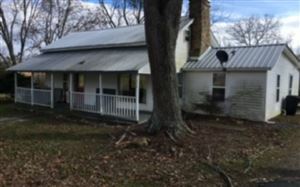 "When we located a home online in Blairsville, Georgia, we did our research on choosing someone to help us with our purchase. LESTER CHESSER came highly recommended to us as a "problem solving" real estate professional with many years of service. Being out of the country at the time, that was exactly what we needed. He wrote up the contract & gave us a list of home inspectors to choose from, a list of utility companies in the area and offered to help with anything else we might need. Lester handled everything and the closing was a breeze. Would we recommend him to family & friends & anyone else needing to sell, purchase or rent? Absolutely!!! " "Lester sold my home in Blairsville. He constantly kept in communication with me, and returned all my messages immediately. He is very professional. The sales process was easy with him guiding me. " "Lester is an exceptional agent. When my wife's health dictated the sale of our mountain cabin, I naturally went back to the agent we bought it through. After 12 months...and NO offers, I sought a new agent...Lester. He repackaged the cabin, kept me informed of showings and what prospective buyers said. We received a great offer, got down to inspection phase and a "problem" with the water system, which I knew about, killed the sale. Lester calmly said, "Lets fix the water and go back to work." We did, and in a few weeks, new client, and a successful sale. He is honest, keeps you informed, and makes sound recommendations. I would use him again. Maj. General M. T. Smith USAF, (Ret.) "
"We purchased a house and Lester was the listing agent. The process of purchasing our home was very unusual and it took several months to close. Lester was not my realtor, but he helped us as if he was. He was very personal and always available. I highly recommend Lester if you are looking for someone to help you find your future home! " "Lester comes with our highest recommendation. He was quick to return my call and his knowledge of the area is beyond compare. We had already looked online at homes and he was able to recommend which would be worthy of a closer look. This was invaluable as we were coming to buy a home in Georgia and all our research had been online in Florida without any real knowledge of the areas we were looking at. Without him we would've wasted a lot of time looking at properties that looked good in pictures but were not in suitable areas. Lester was extremely responsive whether it was over the weekend or late at night, he always returned my calls and messages. This to my mind is going above and beyond. After we had made our decision on the purchase of a property, Lester treated us like family. Service, service, service - we cannot recommend him more highly. He has even been responsive to queries from us after the closing with lots of helpful information regarding local contractors. My husband and"
"Lester is extremely knowledge of the tri-state area. After searching he helped me find my remodel dream home and also put an offer on another possible fixer upper. He is thorough and can answer any question you have for him. Closing was extremely easy and the transition for looking for a house to being the buyer could not have been easier. When I relist this home it will be with Lester Chesser." "We had listed our house with 2 other Realtors and if it wasn't for Lester reaching out for us when our listing expired with another company we would have never know about it! Lester was amazing and efficient. He sold our house and was extremely helpful during the whole process! We did all our paperwork through the internet but knowing that Lester was looking out for us gave us peace of mind. We finally got to meet him at the closing and will be forever grateful to all he did for us during the whole time." "We had been searching for a lake house for four years when we came across a listing on Lake Nottley. Lester was the listing agent, and even though he was moving offices that day he showed us the house at the time of our choosing. We made an offer on the property that week and Lester helped us every step of the way. He was extremely responsive to our many questions and concerns. Lester kept us very well informed touching base with us regularly even when there was no new news. Settlement went off without a hitch this week thanks to Lester's attention to detail. He bent over backwards to make sure that we were happy and saitisfied. We look forward to being his neighbor." "I cannot say enough good things about Lester. Today we closed on the sale of our former home which was the forth time that I have used Lester. Having him on my side for both buying and selling has made the transactions go very smooth and he always keeps me updated on the progress for either buying or selling which is something that not too many realtors will take the time to do. Lester, whatever you're doing just keep it up. It doesn't get any better." "Lester comes with our highest recommendation. He was quick to return my call and his knowledge of the area is beyond compare. e had already looked online at homes and he was able to recommend which would be worthy of a closer look. This was invaluable as we were coming to buy a home in Georgia and all our research had been online in Florida without any real knowledge of the areas we were looking at. Without him we would've wasted a lot of time looking at properties that looked good in pictures but were not in suitable areas. Lester was extremely responsive whether it was over the weekend or late at night, he always returned my calls and messages. This to my mind is going above and beyond. After we had made our decision on the purchase of a property, Lester was also extremely helpful in assisting us with a local lending company who would be able to complete the financing deal in a more timely manner than the lending company that we'd contacted. Lester treated us like family. " "Mr. Chesser is a true professional. He obviously had OUR interests and preferences at heart. He patiently came to know and understand our hierarchy of features and worked tirelessly to discover available inventory that came closest to matching these. At no point did we sense that he was pushing or favoring a particular home because it was one of his listings or one of his realty firm's listings. Our focus became his focus. We would recommend him to anyone and would definitely use his services again."